Almost all natural history museums and recognised public collections of fossils have in the past relied on finds purchased from private collectors, and many still do. But the role of amateur fossil collectors, how their finds are treated and what ultimately happens to them is a bone of contention. According to the ethical guidelines laid down by the US Society of Vertebrate Paleontology – the largest of the professional paleontology societies – thou shalt not work on and publish papers on fossils that aren't curated in a recognised institution (such as a museum or university collection). This is supposed to ensure access to fossils to other researchers and to protect the specimens themselves. This commandment was tested recently in an exchange of letters in the journal Nature, describing the 11th known specimen of the early bird Archaeopteryx. This should not have been allowed to happen, argued Paul Barrett and Martin Munt from the Natural History Museum in London, because the fossil remains the property of a private collector and is just on loan to a natural history collection. Since then, a 12th specimen has been discovered, in Germany, and also remains in private hands. Should this fossil just have been ignored? The authors of the original paper (Christian Foth and colleagues from the Bavarian State Collections in Munich) responded saying that the information presented by this important new fossil just cannot be ignored. But where do clashes like this leave palaeontologists? Some of the world's richest fossil-bearing rocks of the Early Cretaceous period can be found in the UK, on the Isle of Wight. This part of the geological record, which occurred around 100m years ago, seems to have been an important time in dinosaur evolution. Yet it remains little understood compared to the later stages of the Cretaceous. Given the comparatively limited amount of rock exposure on the island, it boasts one of the greatest densities of dinosaur species in the world. What these fossils can tell us about prehistoric species and environments are of global importance. In fact, it is one of the only places on Earth where rocks of this particular age are found. People have been collecting fossils found on the island for more than 100 years. The fossil that inspired Richard Owen to name these creatures the Dinosauria was collected in Brook Bay on Wight some time shortly after 1836. There is a small local museum on the island, but – as is the case in most places around the world – almost all of the fossils are found and collected by amateurs. 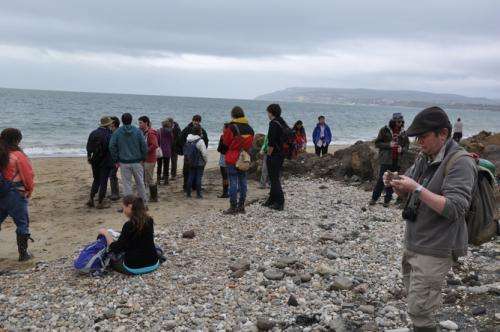 Palaeontologists currently without academic positions at universities or museums scour the beaches of the Isle of Wight day in, day out, often without any recognition. They all started the same way as me: children who became interested in fossils and started to collect them. 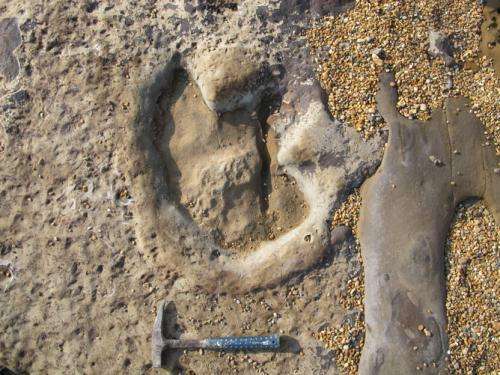 Our research has supported the view that the Isle of Wight is an important location of many fossils from an important part of the Cretaceous period – it's simply one of the best places in Europe to collect the remains of dinosaurs. Fostering good relationships with many non-academic collectors on the Isle of Wight has taken years. Their collections can tell us a huge amount about the past history of the island and give us much of the biological and ecological context of early Cretaceous ecosystems. Should we ignore all this data and just base our efforts on the relatively limited collections held in registered public museums? No. Palaeontology should be approached as a discipline more like the study of art. You cannot appreciate the totality of the work of Rembrandt without examining paintings in private collections, of which there are many. The same is true for the study of fossils. Just in the last few years, the fossilised bones of a new species of pterosaur were discovered by a nine-year-old girl, taken to local collector Martin Simpson, and then given to the Natural History Museum. 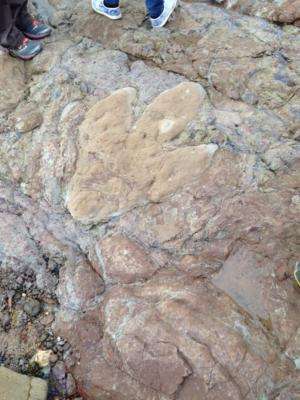 New kinds of meat-eating dinosaurs as well as a heavily-armoured kind of plant-eating dinosaur called Polacanthus have also been discovered by non-academics on the Isle of Wight. The science of palaeontology cannot exist in a professional vacuum: without keen collectors and collaborative work our field cannot move forward. Despite the incredible fossil richness of the Isle of Wight, some even locally are not aware of this amazing palaeontological bounty which has so much to tell us about evolution and climate change. The last thing we should be doing is discouraging those who do have an interest. There is an abundance of mollusks in the Jurassic clays where I live. Always good for extra points in the science classes and so easy to find.